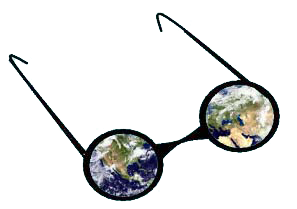 A worldview is an outlook on life, or a view of the world, derived from a philosophical axiom or presupposition. There are two basic worldviews, each with its own underlying assumptions. One system of thought has natural processes alone as its basis, the other, creation by God. These worldviews are becoming increasingly polarized due to the increased emphasis on teaching evolution in public schools with the exclusion of any opposing viewpoint. 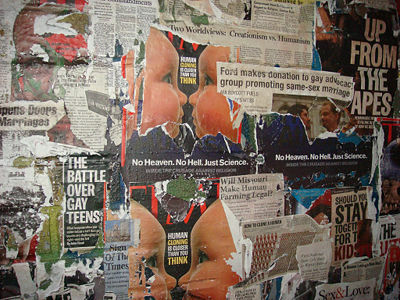 Also contributing is the generally one-sided approach taken by the popular media, which marginalizes other viewpoints. Theism is the religious philosophy that asserts God exists and that He created and sustains the cosmos. Classical theism states that the creator God not only exists but is omniscient, omnipresent, exists necessarily, nonphysical, eternal and essentially good. The most competitive alternative philosophy within the modern intellectual climate is metaphysical naturalism, a philosophy of science acting without the existence of God and the soul, preceding with the assumption of strict materialism. The creation worldview is the belief that the universe, Earth, and life were deliberately created by an intelligent being, which is known herein as the "creation point of view" (CPOV). In particular, creationism is the belief that God brought the cosmos into existence from a state of non-existence. Creation in this sense is distinguished from mere change or transformation of something pre-existent (evolution). There are two main schools of study known as religious creationism and scientific creationism, and a spectrum of beliefs on issues such as the age of the Earth, biological evolution, and the extent to which natural processes were involved with the development of the cosmos. A personal Creator who is distinct from the creation. In other words God is a person, not an impersonal cosmic force. God and His creation are not one and the same in essence. There was a historical fall in Eden, leading to everlasting death. The New Testament contains the Gospel, which describes Christ's sacrificial work that opened the only way out of this damnation. The foundation and principles of Judaism are found in the Hebrew scriptures, more widely known as the "Old Testament", which contains the history of the early Earth and the birth and growth of the Nation of Israel. Whereas the foundation and principles of Christianity come from the New Testament of the Bible, wherein are found the doctrinal books of the Christian faith. The Islamic worldview is based on the teaching in the Qur'an. Islam is also a monotheistic religion, which agrees with the Bible on the core events of creation. Atheism is a philosophical denial of the existence of God. A more active stance affirms the nonexistence of God, and proposes positive belief rather than mere suspension of disbelief. Materialism (the disbelief in the spiritual realm), naturalism, the theory of evolution, and humanism stem inexorably from this world view. Naturalism is a philosophical worldview which holds that the cosmos and life came into existence and operate through natural processes alone. The explicit and sole focus on the natural world has driven modern science into accepting naturalism as the predominant philosophy of science. Naturalism does not appeal to the supernatural or nonphysical reality for explanations at any time and because of that many Christian philosophers like Alvin Plantinga, William Lane Craig and Peter van Inwagon have deemed naturalism as maintaining a stronger stance than atheism. According to Plantinga naturalism not only presupposes the non-existence of God but extends over all areas of life answering a range of deep existential questions like how life should be viewed, what the world is fundamentally made of and what the purpose of humanity actually is. From this metaphysical position philosophers have charged naturalism as being a worldview and thus granting the cognitive functions of a religion missing support for only the outward actions of worship and/or ritual. Metaphysical naturalism or ontological naturalism is a worldview in which reality is composed of nothing but natural things, forces, and causes. All concepts related to consciousness or to the mind refer to entities which are reducible to the same such natural things, forces and causes. There is no objective existence of any supernatural thing, force or cause, such as are described in various religions and mythological accounts. All supernatural things are ultimately explainable purely in terms of natural things. Metaphysical naturalism is a monistic and not a dualistic view of reality. The explicit and sole focus on the natural world has driven modern science into accepting naturalism as the predominant philosophy of science. Many Christian philosophers like Alivn Plantinga, William Lane Craig and Peter van Inwagon have deemed naturalism as maintaining a stronger stance than atheism. According to Plantinga naturalism not only presupposes the non-existence of God but extends over all areas of life answering a range of deep existential questions like how life should be viewed, what the world is fundamentally made of and what the purpose of humanity actually is. From this metaphysical position philosophers have charged naturalism as being a worldview and thus granting the cognitive functions of a religion missing support for only the outward actions of worship and/or ritual. The evolutionist worldview is derived from the belief that life on Earth developed from purely natural processes (evolutionism). It is a materialistic/naturalistic position that ultimately stems from atheistic philosophy. The general theory of evolution has developed across several fields of scientific study and includes the belief in biological evolution as being responsible for all life on Earth. Evolutionism is compared by some to religious belief systems. It is argued that acceptance of the tenets of the theory of evolution requires faith because several aspects of the theory of evolution, such as the origin of life and genetic information, have not been reproduced experimentally under any conceivable circumstance. Like other religious systems, it is rooted in a philosophical position that attempts to explain the existence of the material world and life, and is embraced through a purely faith-based system. The humanist worldview is derived from the belief that humans are but another animal having developed through materialistic evolutionary mechanisms (humanism). Humanism is also based on atheism and is founded upon a core tenet that humans are able to decide for themselves regarding what is right and wrong. Some have argued that humanism is the world's oldest religion, ultimately beginning with the fall of man in the Garden of Eden. The book of Genesis details the temptation of Eve to eat of the forbidden tree and receive the knowledge of good and evil. Following this simple act, humankind began to view itself as an autonomous, self-directed, god-like person. A person upholds humanism whenever they place their own views or opinions above the Word of God. Currently, humanism is the only religious worldview allowed in the U.S. public school system where it permeates every facet of curricula. Whether discussing world history or some field of science, Biblical truths are nowhere to be found in modern schools. In contrast, the humanistic concepts of morality, naturalism, and the theory of evolution are treated as dogma. The worldview provides a set of unscientific assumptions used to interpret the factual observations in order to gain an overall greater understanding of a particular object, event, or concept. It is inherent that evolutionists and creationists equally rely on philosophical assumptions regarding origin of life issues when observing the diversity of life. This interpretive framework is an essential element for human reasoning of factual observations. However the separation of philosophical and scientific has become blurred by a total acceptance of the unobserved change of molecules-to-man evolution. Science should not present these philosophical assumptions within their findings, but the essential nature of interpretive frameworks is that without them, the ability to interpret reality to a fuller extent is limited. Evolutionists appeal to a naturalistic philosophy while creationists rely upon supernaturalism. Neither philosophical interpretive framework is wrong, because both are unobserved and thus unscientific, however modern science presents one above another to form a bias. To let people refine their own interpretive frameworks, or philosophies of science, by having a source lacking in philosophy but consisting of observable, repeatable, unbiased, objective and reliable data should be the purpose of science. Philosophy: the ability to process, categorize, and analyze complex concepts. Ultimate reality: What kind of God, if any, actually exists? External reality: Is there anything beyond the cosmos? Knowledge: What can be known, and how can anyone know it? Origin: Where did I come from? Morals: How should I live? Values: What should I consider of great worth? Predicament: What is humanity’s fundamental problem? Resolution: How can humanity’s problem be solved? Past/Present: What is the meaning and direction of history? Destiny: Will I survive the death of my body and, if so, in what state? The creation vs. evolution debate highlights the two basic worldviews or belief systems: one in which God is at the center of the picture, and one that places man at the center. Evolution, by its very nature, requires a worldview in opposition to the Bible. Simply put, if evolution is true, then the Bible is incorrect. If Genesis is untrue, it casts doubt on the accuracy of the remainder of the Bible. Jesus is merely a good man, perhaps ahead of his time, rather than the Savior and cornerstone of our faith. The Biblical worldview holds that man is a fallen creature—essentially flawed, selfish, and in need of a Savior. Without God prominently in the picture, culture and society inevitably degenerate to a state of disorder and decay (de-evolution). The humanist view on the other hand, is that man’s nature is essentially good, and that if given enough time we will eventually outgrow the problems that society faces. This view states that we need to throw off past restraints (especially religious and moral restraints) so that we are free to explore and develop toward a higher state of being. These two views are the basis of today’s culture clash. Generally on the liberal / humanist / evolutionist side are the news and entertainment media, government schools and universities, government institutions, and other liberal groups. On the Biblical side are the evangelical and fundamentalist churches, and conservative, pro-family groups. The clash is becoming more vocal as liberal groups demand ever more freedom from traditional moral values. Evolution is the rallying point of humanist groups. If, as they claim, we're just accidents in space, then we can set the rules and don’t have to be accountable to any God. ↑ "Atheism and Agnosticism." Stanford Encyclopedia of Philosophy, Stanford University, March 9, 2004. Accessed October 12, 2008. ↑ 4.0 4.1 The Nature of Nature: Examining the Role of Naturalism in Science, "Evolution versus Naturalism" by Alvin C. Plantinga. Pg 137. ↑ Brian J. Walsh and J. Richard Middleton, The Transforming Vision (Downers Grove, IL: InterVarsity, 1984), 35; David S. Dockery and Gregory Alan Thornbury, eds., Shaping a Christian Worldview (Nashville: Broadman & Holman, 2002), 3. This page was last modified on 25 June 2016, at 01:10.